Only SKY has all 48 games of RWC 2011, and it's all live. With this immense amount of action looming, Sky has enlisted Gunnery Sgt R. J. Cleaver to get the production team 'Match Fit'. This is the first glimpse into the world of pain he has created for the devoted men and women prepared to serve their country on the sidelines. 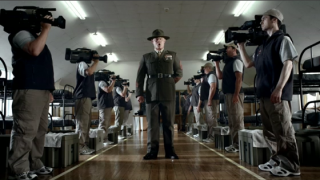 New work from DDB New Zealand, directed by Tim Bullock at Prodigy.